Welcome to Episode 38 of the podcast! This episode is brought to you by Prairie Smoke & Spice BBQ Rubs and Sauce. These small-batch competition spice rubs have been used on meat to win hundreds of awards in competition barbecue, and just last week, their Tumbeweed All-purpose Rub was named #1 in the world for the 2nd straight year according to the National BBQ Association. Find them at retailers all over Alberta, or by visiting www.prairiebbq.com This week I am joined by Sean Ludwig and Ryan Cooper, creators of the Smoke Sheet barbecue newsletter. You can visit www.barbecuenewsletter.com to subscribe to the weekly newsletter. Follow the Smoke Sheet on Twitter and Instagram @thesmokesheet and on Facebook at The Smoke Sheet. Sean is on Twitter @newyorkbbq and Instagram @nycbbq. You can catch Ryan on social media as @bbqtourist on both Twitter and Instagram. 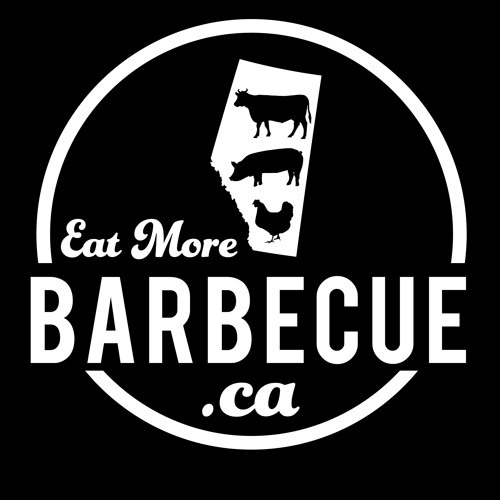 Check out the Alberta BBQ Trail at www.eatmorebarbecue.ca/alberta-bbq-trail and follow on Twitter @bbq_trail or Instagram at albertabbqtrail. Visit the website for a region by region listing of Alberta BBQ restaurants, and use the hashtag #albertabbqtrail on your social media posts. All music on The Eat More Barbecue podcast has been graciously provided by Alan Horabin. Eat More Barbecue can be found at www.eatmorebarbecue.ca, on Facebook & Instagram at eat_more_barbecue and on Twitter @eatmorebarbecue. Thanks for listening. Please subscribe, rate and review. This podcast is a www.EatMoreBarbecue.ca production.